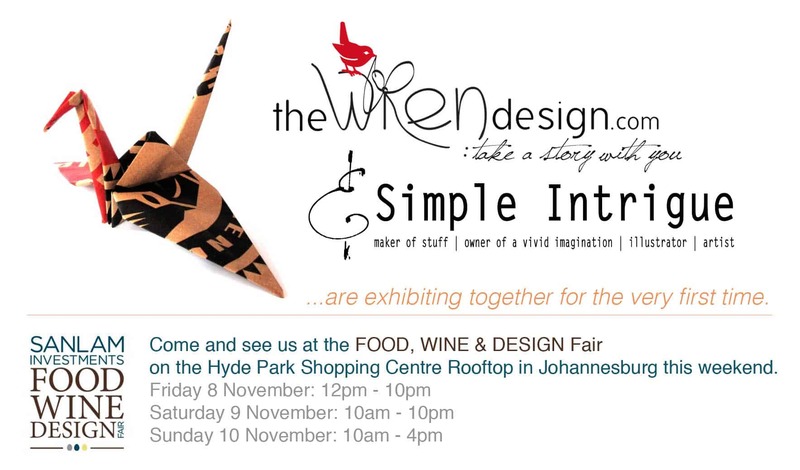 It is our first year exhibiting in Johannesburg and it is Keri Muller from Simple Intrigue and my first time exhibiting together. It promises to be a great event and one well worth visiting! Visit the Food, Wine & Design website. This entry was posted in Blog and tagged food, jhb, wine & design.